The people ask me, why the trees in the desert look so beautiful and straightly trimmed from the ground side? They really look very beautiful. See how beautifully the tree is trimmed from the ground side. Now see, how the camel makes it possible? This morning, I shot this picture when the camel was on its task making the tree beautiful. The camel eats from such precious plants. The roots of these plants are so deep, making them resilient in the desert and also taking micronutrients from the deep soil. The camel trims the tree from the ground side up to the level of his muzzle height. Look! the camel is trying to reach the twigs to eat, such efforts of the camels making possible this beautiful art. The camel is struggling to reach the lush twigs of the Ghaf tree. See in the circle on the ground with a bush the camel also like but near the Ghaf tree the camel ignore this bushes and moves towards the Ghaf tree. The horizontal arrow indicates the straight level the tree is trimmed. 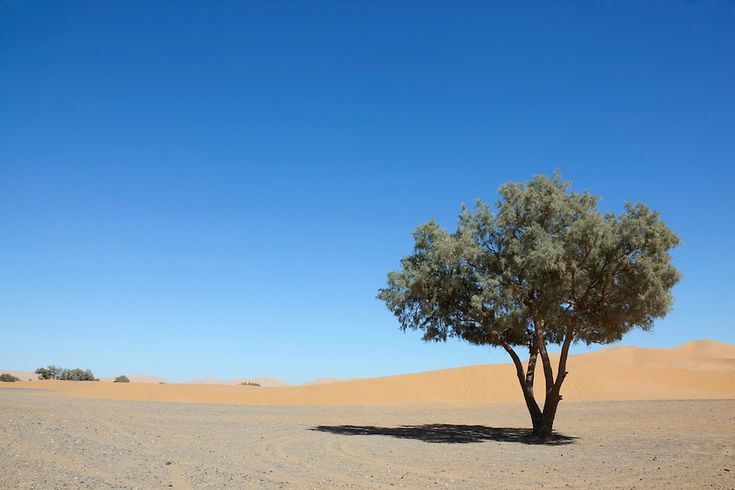 The deserts trees roots are much deeper, therefore, their products are rich with minerals and other micronutrients, ultimately making camel milk special and super. This entry was posted in Adaptation, Camel Genetic Resource (CGnR), Cholistan desert, Desert and Desertification, Ice cream species of plants for camels, Natural Health, Treeography, Uncategorized and tagged camel beauty, Camel ice cream spp, desert trees, Ghaf, Prospis tree on August 7, 2018 by Dr Raziq. The story is hereby released at the eve of the World Camel Day 2018. The author was invited by the newly established Mongolian Camel Milk Company. The group owns their camels in the desert as their half families live there with the precious livestock in the amazing Gobi. I started traveling from Dubai airport (2 am, 20th April) and reached Ulaanbaatar on the 21st morning 7 am (Cengiz Khaan International Airport) via Moscow by Aeroflot. The 12 hours stay in Moscow Sheremetyevo airport was an excellent experience of life as I slept in a small cabin available on rent, the first time in my life. Sanaa and Enkhie (the trip organizers) received me at the airport and took me to the hotel (Khuvsgul Lake). Today, the program was composed of some meetings in the UB city with camel scientists/researcher, businessmen and visiting Changiz Khan Museum. Next day, we traveled for more than 10 hours by road and reached South Gobi region. We traveled another 1:30 hour to reach the nomad Ger (house). The nomad family warmly welcomed us and we stayed overnight there. I slept in the Ger first time. This time period of the year, the nomads do not milk the camels but to let the calf take it and get stronger. The Bactrian camels have beautiful small teats with a strongly attached compact udder. Next day, I woke up in the morning and went to the camels. They are still roaming near the Ger with their calves. The calves are tied. I observed the calves and the dams and found them very healthy and stronger. There are 3 types of Bactrian camels in the region, i.e. The breeding season starts in October and reached the peak in December and slowly decline and cease in April. Usually, one Bull is enough for up to 70 she-camels. The details of the production traits are given in the table below. The table clearly indicates the breeding season, calving percentage, and the milk production. The Camel Milk is lower in quantity, producing from 1-3 liter/day but the milk is thick and full of energy to give special strength to the calf to survive in challenging environment. The average milk production based on my survey is 640 ml/day with lactation yield 233 kg. The lactation here calculated on the annual basis but in actual, the camel produces for up to 8 months. The surplus Harmok is converted into CM Vodka and the residues are used to make Curt. The curt and Vodka is offered to the guests as a unique product of the Gobi. The nomads love their camel very much. They call it Temeh in the Mongolian language. They use camel for riding, racing, festivals, wool, and also for meat (in rare cases). This entry was posted in Adaptation, Agricultural Development, Camel domestication, Camel Genetic Resource (CGnR), Camel Intelligence, Camel Manure, camel milk, camel reproduction, camel saddle, Climate change, cradle of domestication, Culture and Heritage, Defaunation and Biodiversity, Desert and Desertification, Ice cream species of plants for camels, Mongolian Bactrian Camel, Natural Health, Peoples' agriculture, policy makers, Rural development, The food we eat, traditional knowledge, Uncategorized, World Camel Day and tagged Bactrian camel, Camel milk, Mongolia, South Gobi desert, World Camel Day on June 21, 2018 by Dr Raziq. Greetings from the camels’ world. Anyone from any part of the world, who is interested to share his/er story can send it to my email, which will be shared via camel4all.com website with the name of the storyteller. It is a great opportunity for the camel milk producing companies to share their stories (history and products etc) with the world. Let’s celebrate this year world camel day as the awareness day for the precious milk of the camel. This was an email, I sent to the camel people. This entry was posted in Camel Genetic Resource (CGnR), camel milk, Climate change, Desert and Desertification, The food we eat, Uncategorized, World Camel Day and tagged climate change, the story of camel milk, theme of world camel day 2018, World Camel Day on May 15, 2018 by Dr Raziq. The symbolism of this picture is powerful! Not only of our interconnectedness but furthermore I believe, that the camel will lead countries out of the extreme climate change. The camel, in all its resourcefulness and functionality, will feed and nurture the world. Not better than wearing a hat? This entry was posted in Camel Genetic Resource (CGnR), Camel Intelligence, Uncategorized and tagged camel love, climate change, food security on March 27, 2018 by Dr Raziq.